A few weeks before his 40th birthday takes place, Fedor Emelianenko has reportedly started training for his next bout, although he has no fight signed. Although Emelianenko was badly hurt by Maldonado in their bout, UFC President Dana White praised the former PRIDE champ for the toughness he demonstrated. White also reported that the fight drew big numbers for UFC Fight Pass. 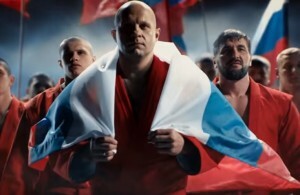 Emelianenko has reported in recent months that his team has talked with the UFC about signing with the promotion. “The Last Emperor” returned to action last December and stopped Jaideep Singh, while fighting for Rizin FF.